Game Angler’s Season DVD: Join us as we journey through a “Game Angler’s Season”. Beautifully shot amid wonderful scenery, this film truly has something for every game angler. 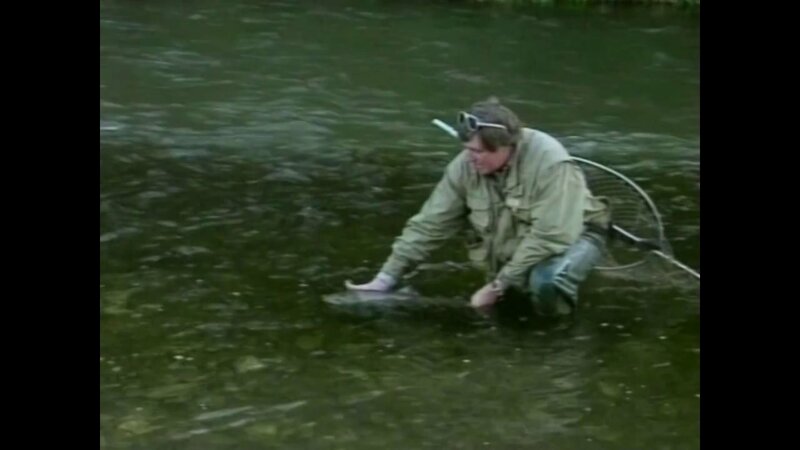 The stars in the film are all of the U.K.’s main game species, including wild Brown Trout on a Lakeland tarn, stillwater Rainbow Trout, Wessex Brownies, Salmon and Sea Trout on the famous River Towy, Salmon on Ireland’s renowned River Moy and Grayling on the magnificent Welsh Dee. *All the waters featured are available to everyone without having to pay a king’s ransom for the privilege, proving that the best fishing is not necessarily the most expensive. This is fishing for the common man.